The reports suggested that Microsoft will allow users with Windows 10 Home license to pause updates for a maximum of 35 days. In the latest announcement, Microsoft has confirmed that all Windows 10 users will be allowed to delay feature and monthly updates for a certain period of time. Previously, the ability to defer updates was exclusively available for Windows 10 Pro and Enterprise users. 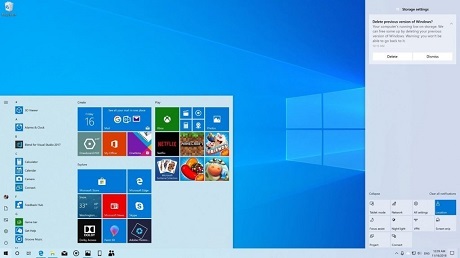 With Windows 10 May 2019 Update, Microsoft would be allowing Windows 10 Home to push back updates for 35 days. Microsofts says Windows 10 Home users should be able to defer feature and as well as the monthly cumulative updates for 35 days. “So, we’re making it possible for all users to pause both feature and monthly updates for up to 35 days (seven days at a time, up to five times). Once the 35-day pause period is reached, users will need to update their device before pausing again,” Microsoft explains. “This extension ability is for all editions of Windows 10, including Home,” the company adds. This is an important change as it would finally allow the users with Windows 10 Home license to defer updates. Windows 10 May 2019 Update will improve Windows Update settings in multiple ways, some of the changes are highlighted below. Windows Update is getting a new option that would provide users with a separate control to manage the installation of a feature update. All Windows 10 customers, including Home users, will have access to the extended ability to pause updates for both feature and monthly updates. Once the 35-day pause period is reached, users will be asked to perform the installation of the necessary and compatible updates before deferring it again. Windows 10 Pro users will continue to have access to advanced Windows Update settings. Active hours was introduced with Windows 10 Anniversary Update and as of now, it relies on manually configured settings. Starting with Windows 10 May 2019 Update, Windows Update will automatically adjust active hours based on usage patterns of the system. This feature has to be turned on by users from the Settings page. Windows 10 May 2019 Update is scheduled to begin rolling out in late May 2019.